Alexander and Mary Hutchison Adamson: He was another Scotsman who, they say, had a hand in naming Highland. 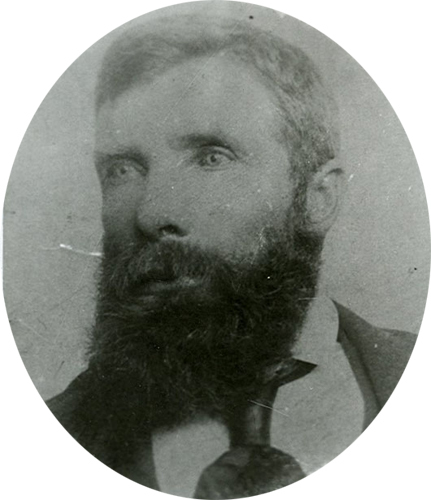 He was born in 1837 in Boreland Fifeshire, Scotland to Henry and Margaret Nicholson Adamson. He began working in the coal mines at an early age and therefore received little schooling. In 1848 he was baptized a member of the LDS Church by missionaries. He met Mary Hutchison, daughter of David and Janet Crookston Hutchison of Dysart, Scotland who was also a member of the church. She was born in 1839 and had been baptized at the age of eight. They were married on April 12, 1861, and left for the America in May of the same year. After crossing the ocean they traveled by train to the Mississippi river, joined the John Murdock Company and, leaving Florence, Nebraska about July 1st , they arrived in Salt Lake City on Sept 12. They lived with Mary's family in American Fork for the winter then went to Moroni. He served as an Indian fighter in the Black Hawk War. They moved back to American Fork in 1867 and he worked as a miner in American Fork Canyon. He built a home in American Fork but homesteaded 120 acres in the northwest area of Highland, next to Peter Smith, another Scotsman. Alexander never lived in Highland but some of his children did (three sons, two daughters) and many of his descendants were an integral part of Highland’s history, with one of them, Eric, serving as the second Mayor (1982-86) and another Jess (Eric’s cousin) served as the sixth Mayor (1998-2005). Their ten children were: Janet, Mary Jane, Katherine Hutchison, Thomas Hutchison, Henry Louis, Marguarite, Nora, David Hutchison, Peter L, and Elizabeth Helen. 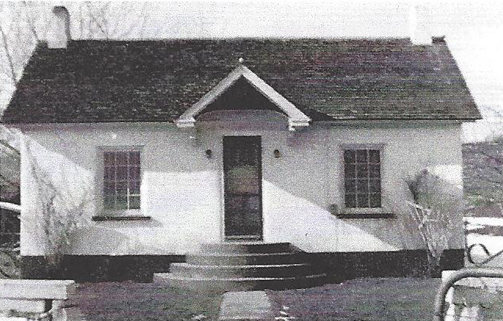 The patent affidavit shows he built and moved into his Highland home in February of 1877 and continued to live there in August, 1892. Clyde Alexander and Barbara V. Comer Adamson: Clyde was born August 20, 1910, fifth child of David Hutchison and Jessie Diantha Myers Adamson (q.v. ), in Highland. He married Barbara V. Comer October 22, 1934. She was born in Alpine, Utah, June 20, 1917, to Robert and Mabel Brown Comer. They lived for many years on Highland on the corner where was built the first Highland City Hall (#60 on the 1958 Highland map - interactive, larger). They had three children; Gary K, Randy C and Barbara Jean. He worked many years at Geneva Steel and was an avid gardener. He served as Deacon’s Quorum advisor and in the Elder’s Quorum Presidency. He died September 26, 1994, in American Fork. Barbara died February 6, 2006 in American Fork and they are buried in the American Fork City Cemetery. David Hutchison and Jessie Diantha Myers Adamson: David was born November 24, 1872, in American Fork, Utah Territory, to Alexander and Mary Hutchison Adamson. Jessie was born December 11, 1878, the first white girl to be born in Highland, to George Yost and Mary Ann Whiting Myers (q.v.). They moved to Highland (#60 on the 1958 Highland map - interactive, larger), with his brother Pete (#45 on the 1958 Highland map - interactive, larger), between 1907 and 1910 and the last six of their ten children were born there. They also lived in #25. Their children were: Nida Mary (Hall), Alta Blanche (Nash), Arnold George, Martell (Mark) David, Clyde Alexander, Virgil Myers, Jesse LeGrand, Victor Keith, Afton Diantha (Jacob) and Karl Blaine. 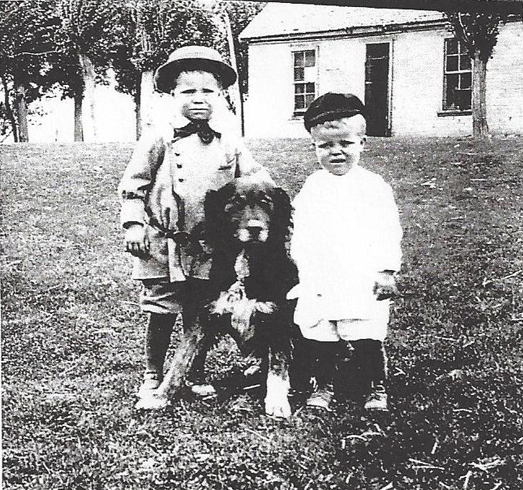 The 1917 influenza epidemic took its toll in Highland but Jessie was able to nurse all her children to recovery. David was chairman of the Old Folk’s Committee for many years and he and Jessie greatly enjoyed the involvement. They were great dancers and had Carter’s Orchestra from Lehi perform at their functions. 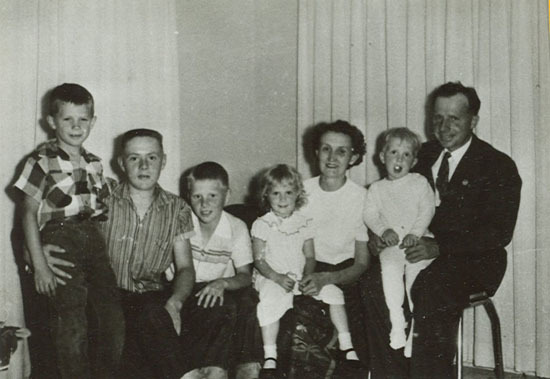 David died March 3, 1946, five days after their son Keith had his mission farewell, in American Fork and Jessie died February 27, 1954, in Provo. Their children Clyde, Nida (Hall), Alta (Nash), Virgil, J. LeGrand, and Keith, all lived in Highland after they were married. J. LeGrand was the bishop for almost 8 years and his son, Eric was the mayor of Highland 1982-86. Jess, son of Keith was mayor 1998-2005. Delbert Peter and Laura Roundy Adamson: Delbert was born March 12, 1913, in Highland to Peter L. and Sarah Blanche Myers Adamson (q.v.). Laura was born December 10, 1911, in Snowflake, Arizona to Heber Lorenzo and Elizabeth Frost Roundy (q.v.). They married January 25, 1932, and lived with her parents for a while (#23). They had five children: Joy Baughn, Noma, Marianne, Sandy, and Barbara. They moved to West Jordan and Delbert died there on May 18, 1998. Laura died October 2, 1989, in Provo. They are buried in the American Fork City Cemetery. Jesse LeGrand and Cora Loraine Beck Adamson: LeGrand was the seventh child of David Hutchison and Jessie Diantha Myers Adamson (q.v. ), born November 18, 1916, in Highland. His first schooling was in the building that was also the Highland Ward Church. He graduated from American Fork High in 1935 and at that time was also serving with the Boy Scouts and as secretary of the YMMIA. 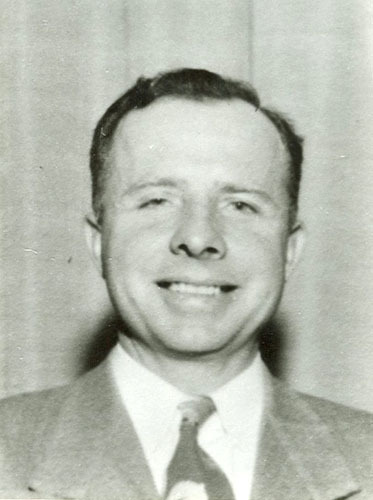 He lived and worked in Draper for a time but returned to Highland before being called to serve in the Western States Mission, leaving on March 16, 1939. Upon his return he taught Sunday School and again worked with the Boy Scouts. He took over the operation of his father’s farm and raised chickens for his livelihood. In October, 1941, he married Cora Loraine Beck who was born in Highland on January 1, 1919, to Stephen Feramorz and Maggie Elizabeth Orr Beck. They had five children: Stephen LeGrand, Eric B, Mac J, Loraine, and Joel David. 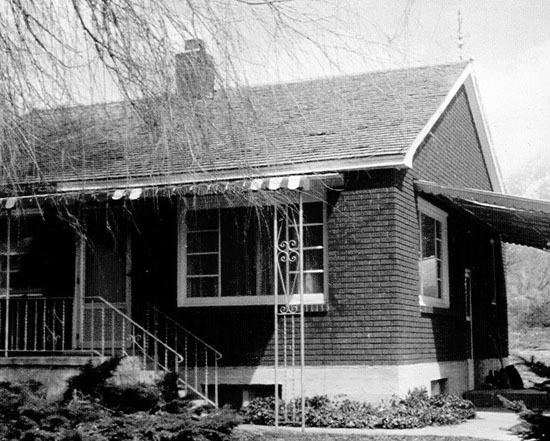 His brother, Virgil had built a basement home in the American Fork creek bottoms (#73 on the 1958 Highland map - interactive, larger) and LeGrand and Cora lived there for a number of years before adding an upper floor. 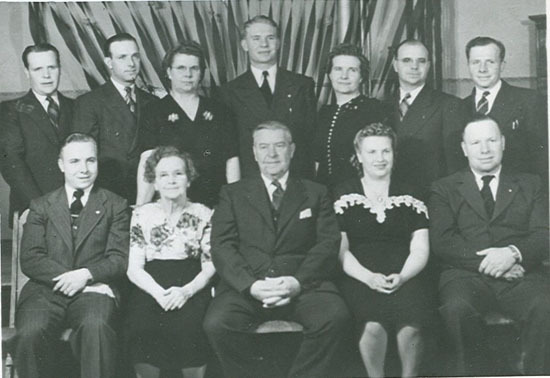 LeGrand was sustained as second counselor to Bishop C. E. Harry Jerling on June 21, 1942, and as first counselor on November 16, 1943, then as Bishop on October 21, 1945, with David Strasburg as first counselor and Leonard Hyde as second, Clarence Greenland being retained as Ward Clerk. In 1951 David Strasburg was released due to work conflicts and Don LeBaron was sustained. That Bishopric was released June 20, 1953, and LeGrand was soon sustained as a Stake High Councilman. His wife, Cora died in 1975 of a stroke at the young age of fifty-six. On September 8, 1979, he married Dawna Neves Randall, born October 22, 1924, to Wilford Trane and Mary Carling Neves. They served together on three missions to Scotland, England and Ireland. LeGrand died April 23, 2001, leaving 57 grandchildren and 45 great-grandchildren. Dawna died October 21, 2008. Leland Myers and Geneva Wight Adamson: A brother to Delbert and another son of Peter and Blanche who lived in Highland (#23) for a while. Leland was born March 19, 1901, in American Fork. 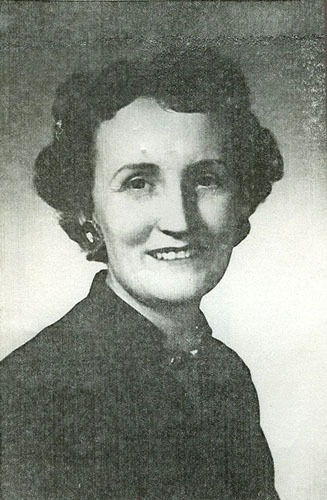 Geneva (Jennie, Jennie Vee) was born July 2, 1909, in Lehi, Utah to James Hurren and Elizabeth Powell Wight (q.v.). They were married September 7, 1928, and lived in Highland for a while, and by 1940 had moved to Denver. They had four children: Darlene, Bonnie Lee, Claudia, and Sonja. They later moved to Vernal where Lee owned and managed the Vernal Furniture Store. He died April 23, 1960, just after his 59th birthday. Jennie lived more than fifty years after that and passed away January 5, 2013, in Highland. They are buried in the American Fork City Cemetery. Martell “Mark” and Etta Laree Greenwood Adamson: Mark is another son of David Hutchison and Jessie Diantha Myers Adamson (q.v.) who lived in Highland for a short time. 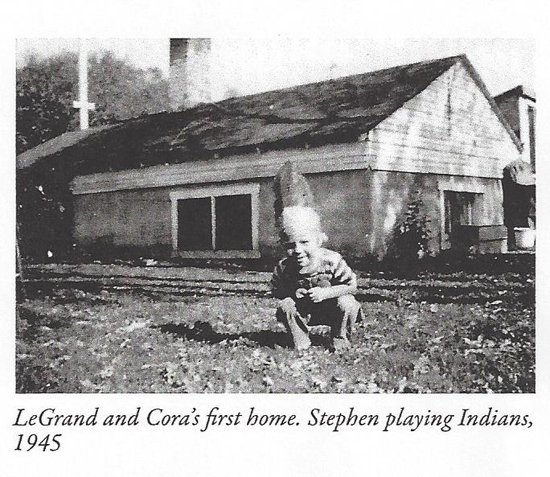 He was born December 19, 1907, shortly after they moved to Highland. Etta was born August 13, 1907, to William Snow and Etta Caroline Cullimore Greenwood. In 1914 they moved to Highland where her father worked at the power plant and in 1924 he was made bishop of the Highland Ward. 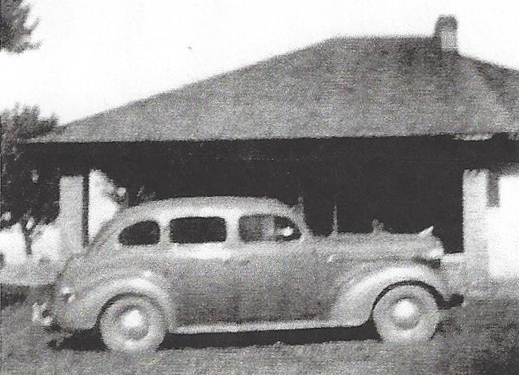 Mark and Etta were married June 20, 1928, and lived at #98 before moving to American Fork, then on to Spanish Fork. Mark died July 23, 1992, in American Fork and Etta Died January 28, 1993, in Salt Lake City. They are buried in the American Fork City Cemetery. Peter L and Sarah Blanche Myers Adamson: Peter was born November 9, 1876, to Alexander and Mary Hutchinson Adamson. He married Blanche December 20, 1898, and they moved to Highland (#45 on the 1958 Highland map - interactive, larger) within a few years. Blanche was born January 21, 1881, to George Yost and Mary Ann Whiting Myers. 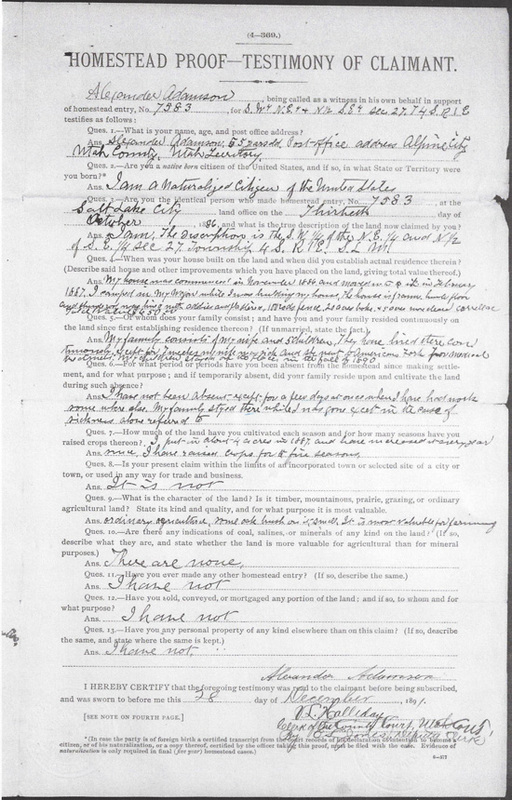 The 1900 census shows them living in American Fork but they are in Highland in 1910, 1920 and 1930. They were parents of at least seven children: Leland Myers, Jennavie, Erma, Thelma, Delbert, Effie and Nelda LaRae. Pete died November 4, 1942, and Blanche died March 18, 1958. They are buried in the American Fork City Cemetery. Thomas Hutchinson and Lodema Pearl Christofferson Adamson: Tom was the third and youngest of Alexander’s sons to live in Highland, born October 26, 1878. He moved here after 1910 and before 1918, when he registered for the WWI draft as a Highland resident. 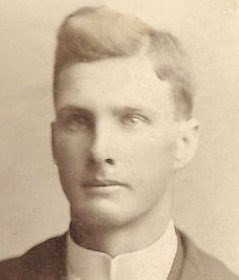 Pearl was born April 15, 1881, in Springerville, Arizona Territory. They were parents of at least six children: Violet, Henry C., Norma May, Thomas Wayne, Maurice Boyd, and Fae. They were in Highland for the censuses of 1920 and 1930 but were living in American Fork in 1940. Pearl died May 18, 1964 and Tom followed on July 2, 1968. They are buried in the American Fork City Cemetery. Thomas Wayne and Mina Nash Adamson: Thomas was a son of Thomas Hutchinson Adamson (q.v.) and lived in Highland with his wife for a short time after they were married. He was born January 20, 1912, in American Fork, Utah and was living in Highland with his parents in 1920 and 1930. He married Mina March 10, 1932, in Farmington, Utah. Mina was born February 14, 1914, in Alpine, Utah to Ephraim Jefferson and Mindwell (Mina) Nash. They had three children: Irwin J., Wayne K., and Gerald E. Irwin died at the age of two months. They lived in #56, after the Wimmers had unsuccessfully tried to start a service station and barber shop there and before Johnny Greenland had his successful service station in the same spot. They were living in Alpine in 1935 and by 1940 had moved to Westwood, California to look for work. Her brother, Ephraim was working there and had suggested they come down. They lived with the Nashes for a short while. Mina died December 27, 1987, in American Fork and Thomas died May 13, 1997, in Marion, Illinois. They are buried in the American Fork City Cemetery. Virgil Myers and Helen Gardner Adamson: The sixth child of David Hutchison and Jessie Diantha Myers Adamson, was born July 19, 1914, in Highland. 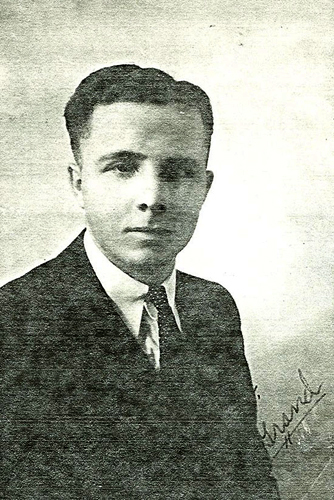 He graduated from American Fork High School then worked for two years at a CCC camp in the Moon Lake area. He then married Helen Gardner, who was born in Lovell, Wyoming May 23, 1916, a daughter of Angus Cannon and Mary Whipple Gardner. They first lived on the Alpine highway in a home belonging to Eph and Alta Nash (#98 on the 1958 Highland map - interactive, larger), then built a basement home in the creek bottom (#73 on the 1958 Highland map - interactive, larger) They had one son, Edwin Virgil (Ted, Teddy), born in 1938. 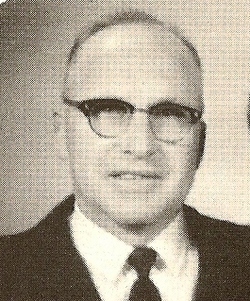 Virgil worked for Utah Poultry for thirty-five years and for American Fork City for ten years. He served in many callings in the LDS church, including seven years as a temple ordinance worker. He died March 2, 2007, in American Fork at ninety-two years of age. Helen worked at Cooks Ice Cream Parlor, A. F. Dry Cleaners, Utah Poultry and the Utah State Training School, from which she retired after 22 years. She died Sept 11, 2012, at age 96.